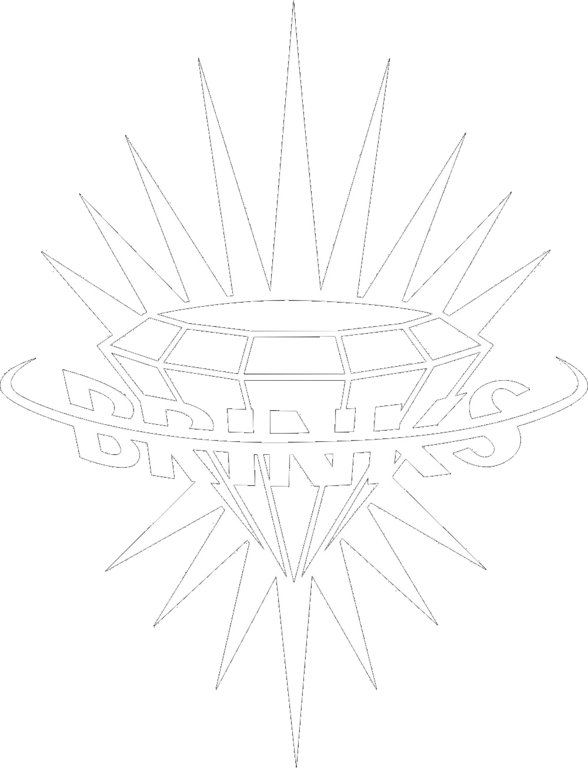 Welcome to the Brinks Awards & Signs website. We are locally based in Santa Cruz and have been providing quality services since 1974. 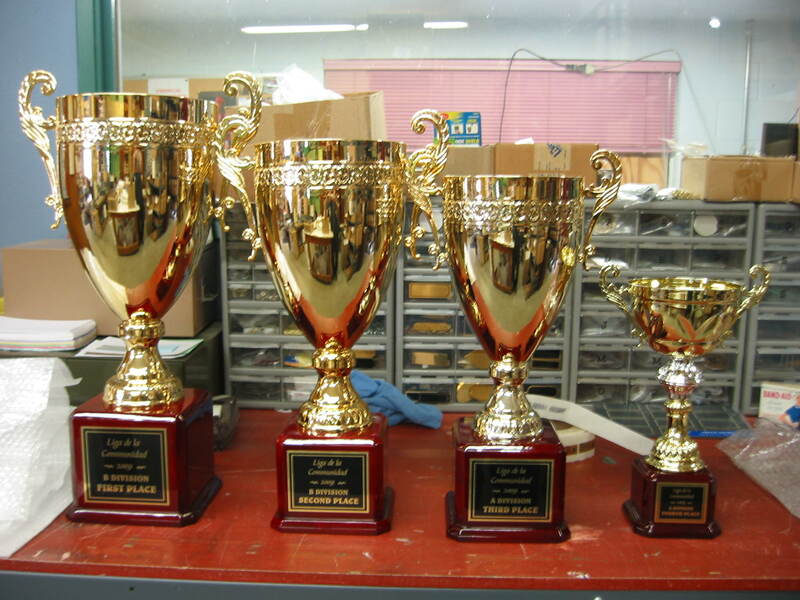 Our services include engraving, sandblasting, bronzing, signage, name badges, trophies, awards, personalized gifts and more. Please browse our website and product links. Please feel free to contact us with any questions you may have. Since we are a custom shop you might want to bring your project in for us to look at, so that we may better assist you. You can come in and discuss your order directly with us. This is our preferred method as we are able to show you many of our samples and some of the "live" product that is going through our shop on any given day. If you don't hear back from us within 24 hours, please call us @ (831) 426-2505 or email again, we may have missed your email. If you leave a voice message, please make sure to include a contact name and number. Please make sure to include your name and contact number, in case we have questions. We require a deposit (cash or CC) or a Purchase Order # for most orders. Our typical completion time is 7 days. We can expedite your order upon request with additional rush charges. Some specialty items could take longer. 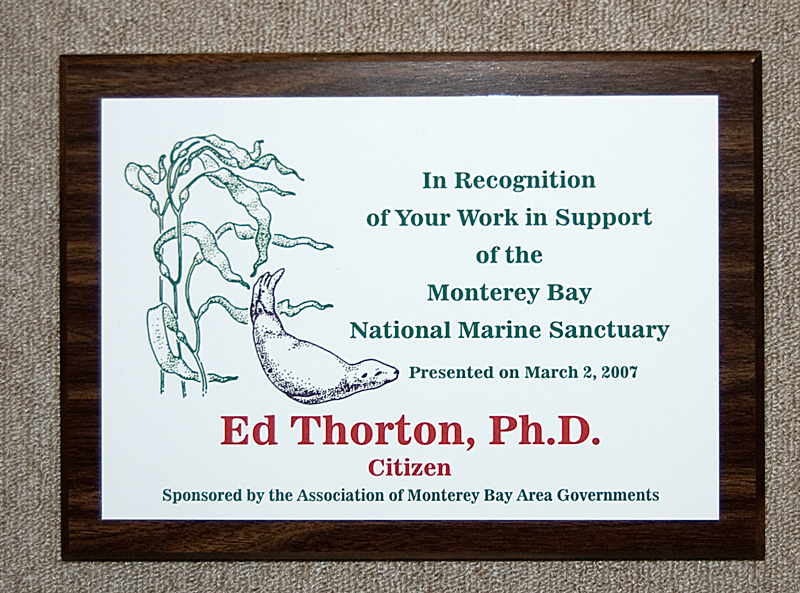 For example bronze or zinc plaques. Most orders are picked up at our shop as this allows you to look at the final product before paying. We will ship if necessary, upon request. Typical local shipping fees are $10 to $15. There is an almost infinite number of awards available at a wide variety of prices. If you do not know what you want, or are curious and want to look around, we suggest that you look at the websites of our key suppliers for ideas. 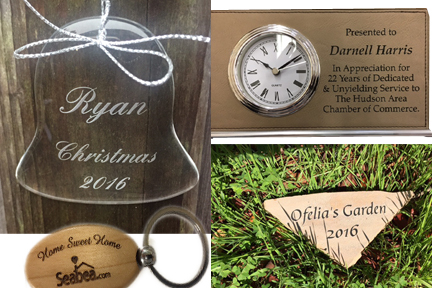 There you can see many examples of plaques, trophies, acrylics, glass and other engravable products. Please take a look at our LINKS page. I was so very happy with the service I received from Brinks. They are very friendly and do great work! I would highly recommend them. We have been doing business with Brinks for years. There is nothing like their customer service. Call us at (831) 426-2505 to find out more about our services.